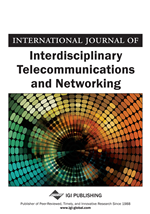 This article studies the emergence of the mobile Internet business from six strategic perspectives, highlighting the ongoing transformations of the mobile industry. The article suggests that companies of the mobile industry can reconstruct their business models with six different kinds of choices: 1. Positioning differently in the value network, involving both vertical and horizontal movements. 2. Acquiring and developing critical assets and competencies to build sustaining and dynamic competitive strategies. 3. Inventing new mobile business models by utilizing the lessons from the Internet. 4. Integrating end-users in making and redefining services, optimizing pricing logic, introducing new business models with end-user originated content creation in mind, and making services easy to adopt by end-users. 5. Leveraging and focusing on disruptive, winning technologies that are changing the rules of the business. 6. Adapting to relevant policy schemes, and proactively planning and reconsidering business decisions under a dynamic regulatory environment.